Dukinfield Junction where the Peak Forest Canal meets the Ashton Canal. Looking along the Ashton Canal at Dukinfield Junction, with Manchester behind the camera. 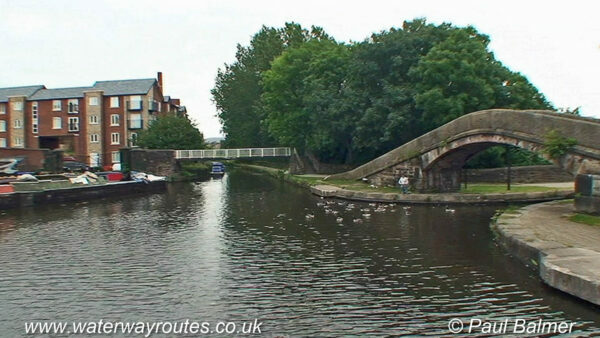 The Peak Forest Canal leaves under the bridge to the right on its way to Marple, Whaley Bridge and Bugsworth Basin.